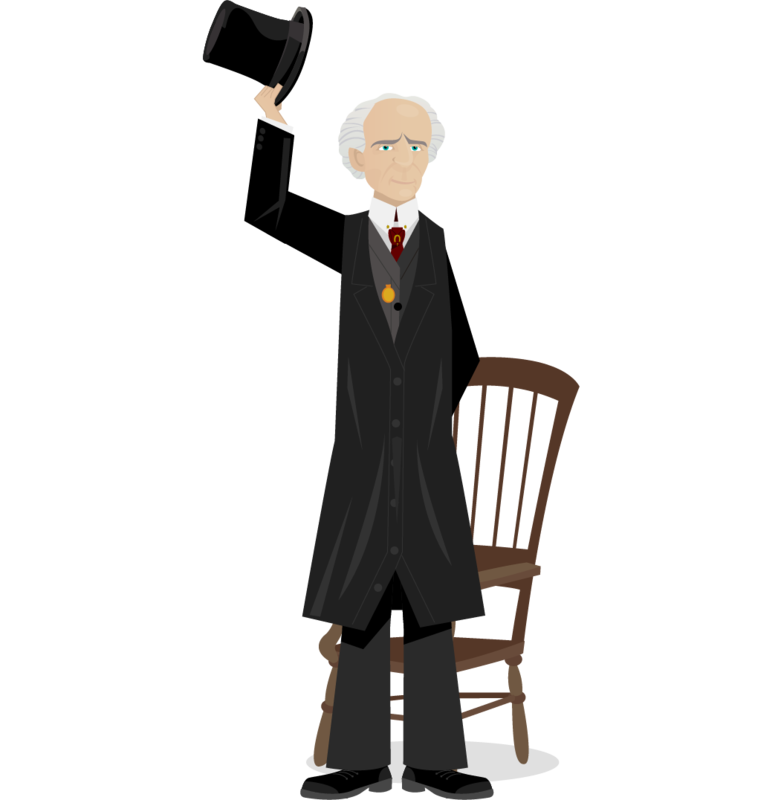 Drawing of Wilfrid Laurier standing greeting us while raising his high-hat. He is dressed in his black and gray coat, a red tie decorated with a gilded horseshoe, and his gold pocket watch. A chair is behind him. Hello, I'm Wilfrid Laurier, the father of modern Canada. I did much for my country. In 1867, Canada's Confederation united four provinces. Two more provinces and one territory joined Confederation during my mandate.